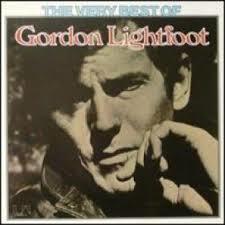 I knew the Lightfoot album would be slow for a good workout. A burst of energy prompted me to turn on the radio beforehand and I found myself silly-dancing around to various songs. Now, I never liked disco and that whole era, but a couple of songs… Like the one that encouraged the most energetic and silliest dancing – K.C. and the Sunshine Band’s “That’s the Way (uh-huh, uh-huh) I Like It (uh-huh, uh-huh).” Classic.